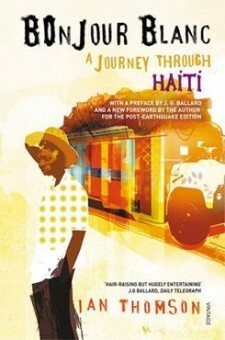 Reissue of the classic 1992 book, with a new post-earthquake foreword by the author. The death toll is still uncertain but the numbers range from the official Haitian tally of 316,000 to much lower estimates of 46,000. Probably we will never know quite how many died. Even so, the earthquake remains probably the worst natural disaster in Caribbean history. The National Palace collapsed in on itself. The twin-spired Episcopal Cathedral of the Holy Trinity (along with its Vodou-inspired murals by Wilson Bigaud and other Haitian artists), the Palais de Justice and the Palais des Ministères: all were damaged beyond repair. Aristide’s Bicentennial Monument – an ugly tower in concrete – survived.